As a small size smartphone, except the excellent appearance design, the Vernee M5 also has a strong performance. It is not the kind of common small size phones with lower configuration. The Vernee M5 is equipped with Octa-core 64 bit high performance CPU, 4GB big RAM, 64GB/32GB ROM two options and support 128GB external storage. It is really a high cost-effective product. From the video we could see that when Vernee M5 is playing “Arena of valor” – one of the most popular games now, the whole picture is very smooth. Including the interlude animations, wonderful battles during the game, skills released, there is no stuck when playing. There is no difference with the high-end models. All thanks to the comprehensive performance and good optimization of the Vernee M5. Vernee M5 is using the MTK 6750 processor, Octa-core 64 bit high performance and up to 1.5GHz peak main frequency, let the M5 always maintain a strong driving force and efficient operation, at the same time control the power consumption excellently and keep the phone from high heat. Even when playing large games, the phone will not be burning hot. Compare with the same level models, the power consumption of Vernee M5 is lower. 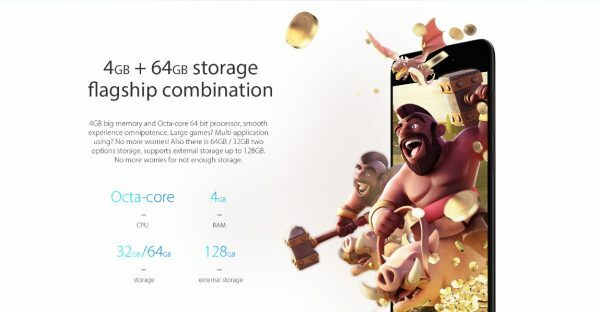 There are two RAM options for Vernee M5, 64GB and 32GB, alone with 4GB RAM. 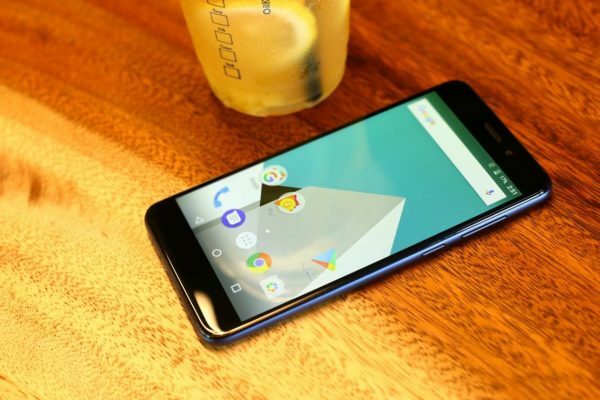 Before, Google has announced that the 4GB RAM is enough for a phone to operate the Android 7.0 system. After a better optimized, the performance and other using experience will be much better. The Vernee M5 is using 4GB RAM but it can rival the 6GB smooth when operating. 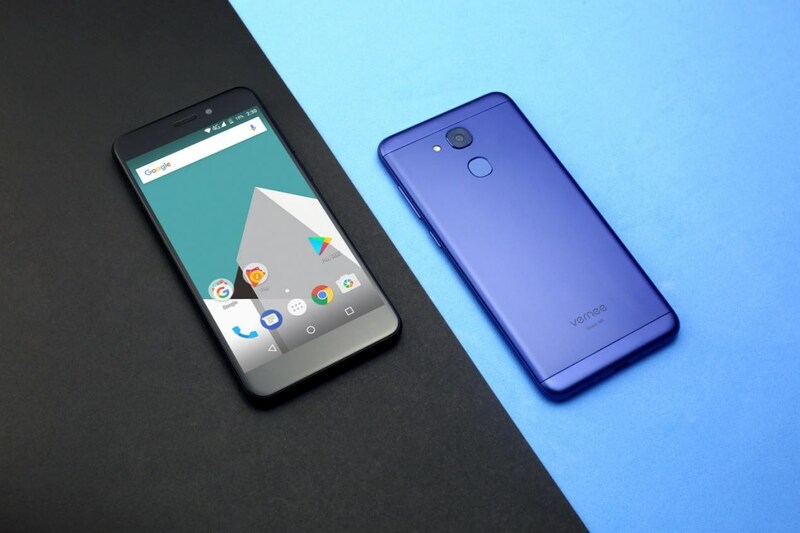 Carried with the latest VOS 1.0 system, which is based on the Android 7.0, it added many interactive personalized designs and optimized many details. Although you are using multi-apps at the same time, the phone can still remain fast and smooth. 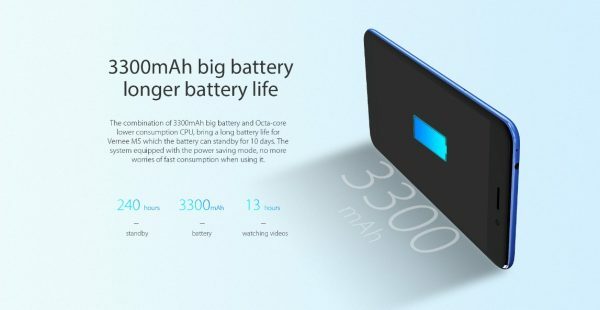 Except the performance, the Vernee M5 fits a big 3300mAh battery in the small phone body. Combined with the VOS 1.0 Endurance mode and Octa-core CPU, the Vernee M5 can watch movies for 13 hours and standby for 240 hours. Enjoy the smooth experience when using the Vernee M5. Now the Vernee M5 is on discount, only $119.99 till this Sunday. Hurry up and get the last chance to buy it at the lowest price. The price will be $129.99 after the campaign is finished. Purchase here! 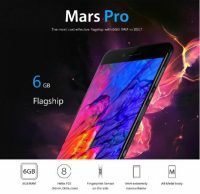 Vernee Mars Pro: High-End für 160 Euro? MWC 2018, what new changes will vernee bring?